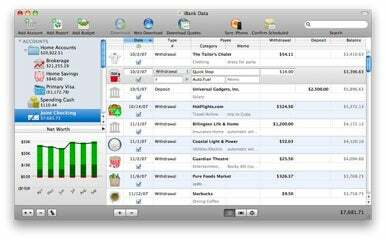 IGG Software’s iBank is a more Mac-friendly alternative to financial management heavyweights like Intuit’s Quicken. After a brief beta period that began in July, the official release of this major 4.0 upgrade brings a number of new features and interface improvements to iBank that should make it easier to enter transactions, set up online integration, and simply try the app out for all its worth. New in iBank 4.0 is a redesigned register that allows faster transaction entry and editing, a better process for downloading bank transactions, and an improved setup assistant for transferring data from Mac and PC versions of Quicken, Microsoft Money, and other programs. iBank’s overall interface has been redesigned for the upgrade, with an eye on making it easier to monitor balances, net worth, assets, and liabilities. Investment tracking, budgeting, and reporting features have also been improved in version 4.0.
iBank 4 requires Mac OS X 10.5 Leopard and is available now from IGG Software. There’s a new, unlimited 30-day trial period (previously, you were limited to entering up to 75 transactions, though downloads from banks were not counted against this limit). A license costs $60, and upgrades from previous versions are $30.